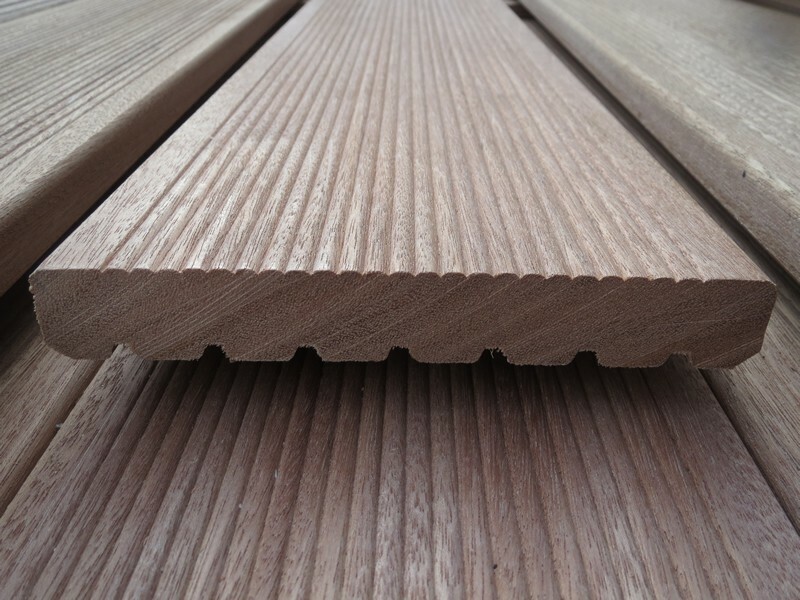 An FAS grade PEFC certified, Kiln Dried durable hardwood decking board. 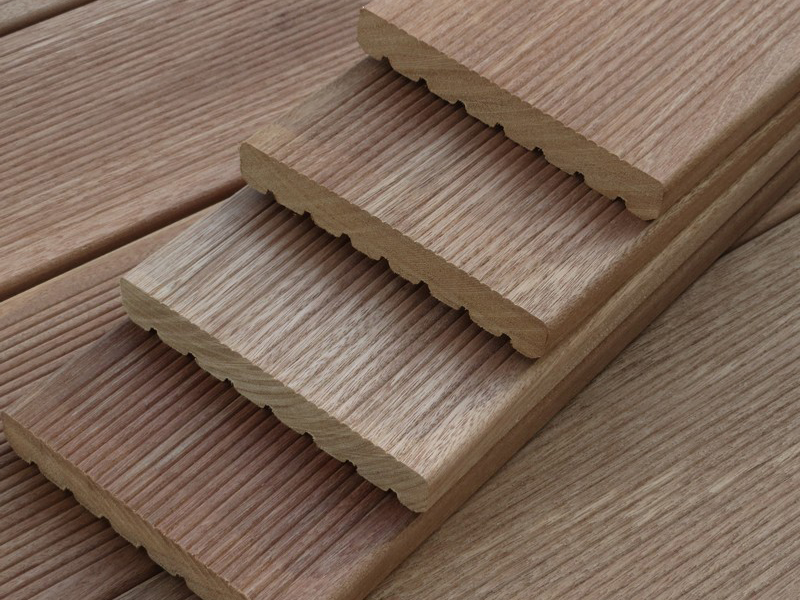 A reversible board that is grooved on one face and reeded on the other. Also known as Yellow Balau, although strictly speaking Bangkirai is from a single Indonesian species, whereas Yellow Balau is from many species of Shorea across Indonesia and Mayalsia. 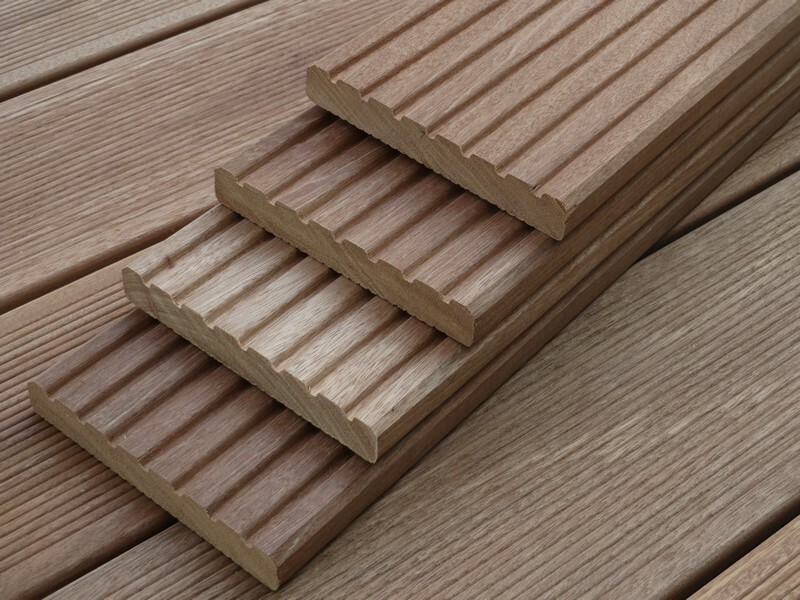 This is a strong and tough decking board, class 2 durability. 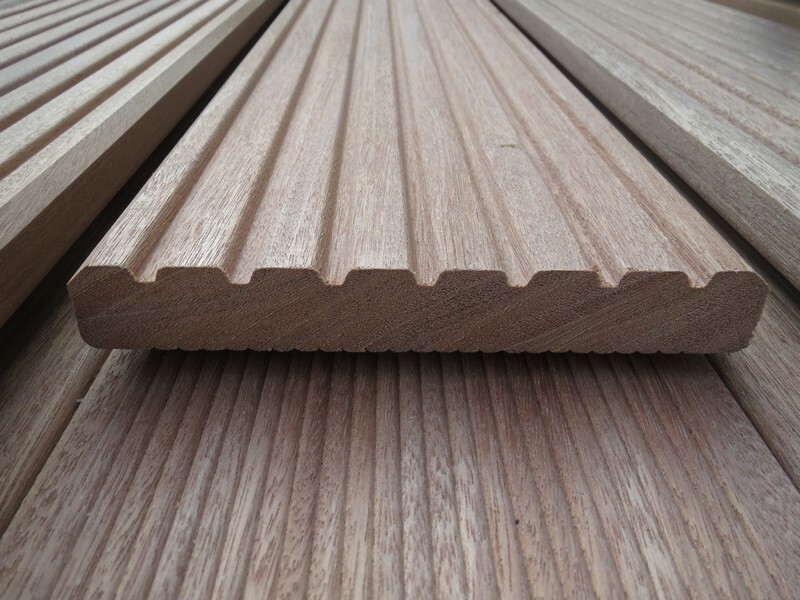 Generally straight grained but occasionally interlocked. Approximate density of 900Kg/m3 Prone to spring that is easily straightened when fitting by using a hardwood decking straightening wrench. Note: Infrequent evidence of pin-hole worm attack is acceptable within grade. 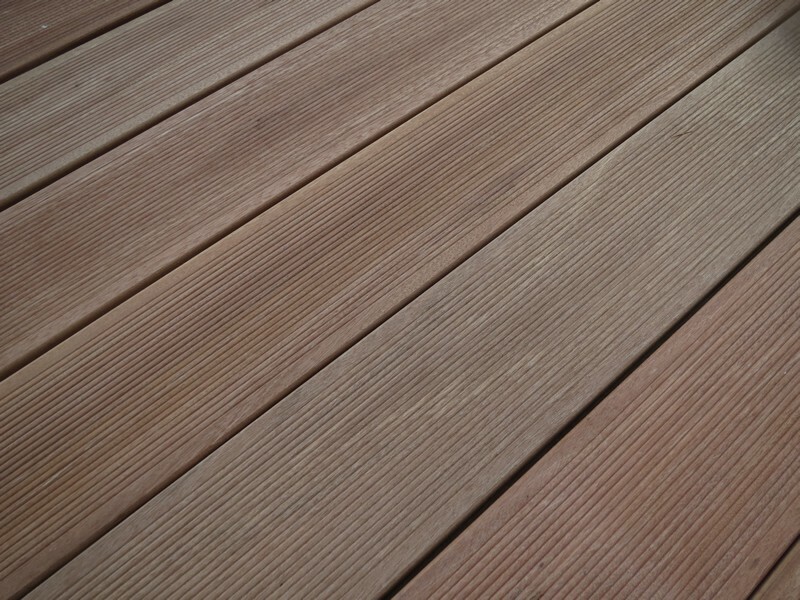 Naturally occurring tannin creates black staining in contact with iron and when washed out of the timber after periods of heavy rain, has the potential to stain adjacent building materials. Naturally occurring surface shakes can appear during periods of warm dry weather. 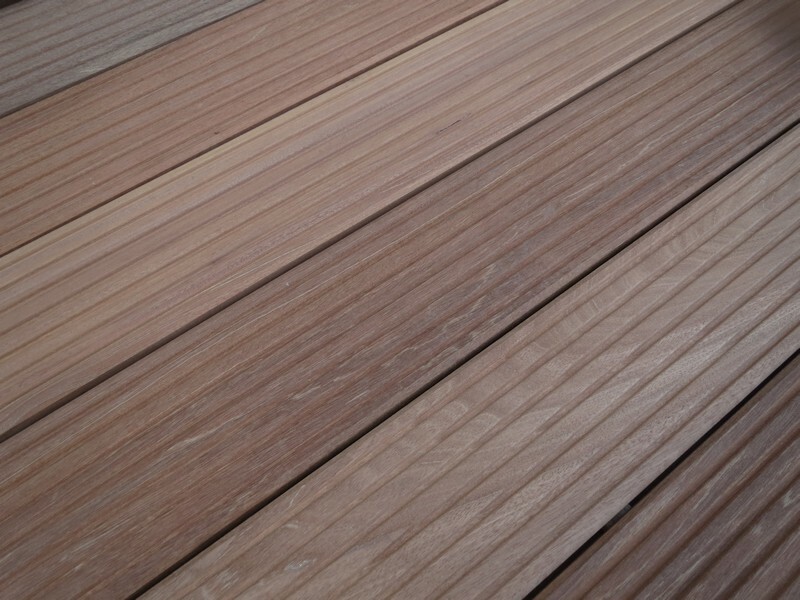 Naturally occurring tannin can wash out after periods of heavy rain and may stain adjacent materials. Susceptible to black staining in contact with iron and moisture but easily remedied with Net-Trol colour restorer. 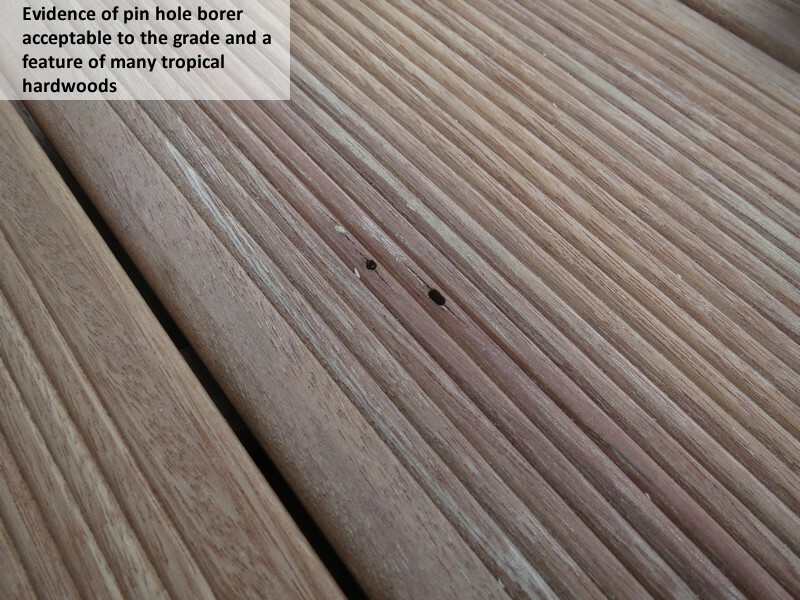 The natural occurrence of infrequent tiny holes caused by beetles when in log form, does not affect the performance of this decking and is acceptable to the grade.